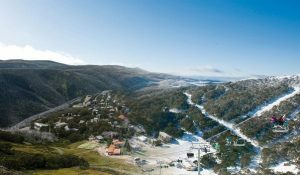 Falls Creek Ski Lifts (FCSL) is thrilled to share the announcement that Victoria’s largest alpine resort has won the Major Tourist Attraction category at the 2018 RACV Victorian Tourism Awards.Announced on Thursday 22 November at Crown Palladium, the awards recognise Victoria’s leading tourism operators in terms of business development, innovation and outstanding contributions to the industry. According to Sharon Raguse, General Manager of FCSL, the recent Gold Award showcases the cumulative efforts of Falls Creek Resort’s stakeholders. FCSL, owned by global attraction and entertainment company Merlin Entertainments, has made a number of significant investments in 2018 to improve the overarching guest experience at the resort. Recent developments include the $9 million Eagle Chairlift upgrade and the appointment of Traverse Alpine Group to lead a multi-million dollar refurbishment of the resort’s most popular dining venues. “The award is a tribute to the outstanding performance and year-round hard work of the Falls Creek Resort stakeholders, business operators and the resort management team, all of whom collectively share the vision and passion of the resort and its primary goal of being Australia’s premier all seasons alpine resort,” said Stuart Smythe, CEO of Falls Creek Alpine Resort Management Board. 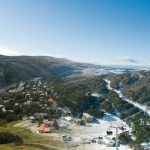 Falls Creek Resort’s latest award follows the Australia Ski Awards 2018, where Astra Falls Creek received the title of Best Australian Ski Boutique Hotel for the third consecutive year. Following the win at the RACV Victorian Tourism Awards, the Falls Creek Resort team will compete for national recognition at the 2018 Qantas Australian Tourism Awards in Launceston in March 2019.